With the UK cosmetics industry set to use £480 million worth of packaging by 2020, its essential that those working in the sector are equipped with the resources to craft packaging that conveys brand values and guarantees integrity of the product. With this in mind, Packaging Innovations and Luxury Packaging London will return to Olympia London on 13 & 14 September 2017, with a host of new suppliers and educational content to help the cosmetics packaging market stay on top of the latest trends and challenges. New for 2017, Packaging Innovations London, which is partnered with Cosmetics Business, is launching a brand-new format for its conference programme. The re-vamped forums will allow for more tailored content to be showcased on its key vertical markets. 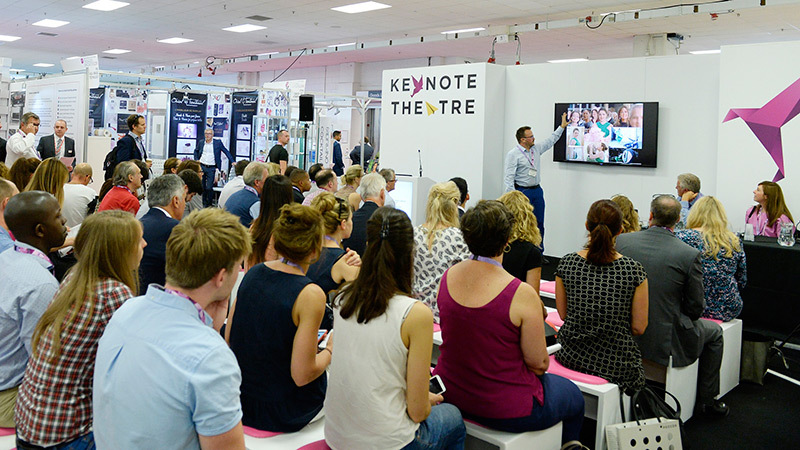 Day One in the Keynote Theatre will see a dedicated focus on the beauty packaging sector, hosting insightful talks on the trends, challenges and opportunities being faced in today’s market. Kicking off The Beauty Forum is Imogen Matthews, Consultant, Journalist and Researcher at IM Associates. She will be exploring ‘the role of packaging in engaging beauty consumers’. Jamie Mills, Analyst at GlobalData, will then consider the beauty packaging landscape and analyse the opportunities and implications for beauty packaging innovation. Sarah Jones, Partner at DewGibbons + Partners, will also be taking to the stage to present ‘beauty brand design in the 21st century’. Sarah will touch upon which brands are currently winning the design battle, the role of personalisation and the ever-popular subject of smart packaging. As well as a series of dedicated beauty focused sessions, there will also be a range of industry leading suppliers looking to share their latest innovative solutions with visitors. Major names included in this beauty parade are Arcade Beauty, Papillon Ribbon & Bow, Virojanglor, Richmond Containers, Curtis Packaging, Continental Bottle Company, Spectra Packaging and The Delga Group. In addition to this, the first edition of The Packaging Design Summit will be live on the showfloor, run in association with the Pentawards, the most prestigious worldwide competition exclusively devoted to packaging design in all its forms. It will consider the current trends, themes and issues facing packaging designers of today, with key topics including ‘design for a new generation’, ‘phases of innovation for pack development’ and ‘connecting brands and consumers via the internet of things’. The exclusive partnership, will also provide visitors with a unique opportunity to explore this year’s shortlisted companies in The Pentawards Display – a sleek display of inspirational packaging.